A fitting end to close out Destiny 1? The latest Destiny expansion, "Rise of Iron," has been out for a few weeks now, and we've been doing our best to get through as much of its new content as possible before we offer up our impressions. While it's got some fun new quests and gear for you to acquire, it also acts as a good example of what the game gets wrong. Strike Hoards, Nightfall, Exotic Engrams, Trials of Osiris, Crucible, and Iron Banner will now provide rewards up to 400 Light. Archon’s Forge, the Heroic SIVA Strike playlist, and Legendary Engrams will now provide rewards up to 385 Light. Rare Engrams and the SIVA Strike Playlist will now provide rewards up to 365 Light. The impressions/opinions of the "Rise of Iron" DLC from Mike and myself still apply; Bungie just moved the goal posts. While the grind to 365 will be easier, getting to 385 will still be as bad given the way loot has a 50/50 chance of being a higher LL than your current one. Hopefully, though, this shift will allow for more players to experience/enjoy the new Raid. Bungie has always given players several quality of life improvements in each expansion pack, but often with a catch. Rise of Iron exemplifies this in almost every aspect. While the missions in the campaign are entertaining, interesting, and offer new (to a degree) enemies to fight, the content can be cleared in a single short sitting. The new Plaguelands patrol area is a wonderful area to explore and is massive to a point where it even includes a few familiar areas from the Cosmodrome patrol area. It also has a fairly major shortcoming in the Archon's Forge. The Forge is an area in the Plaguelands intended to expand upon the ideas behind the Court of Oryx from the Taken King, but due to the construction of the zone itself, you can't ensure there will be enough other players around to make an attempt. Additionally, the key item (a SIVA Offering) necessary to activate can only be held one at a time, yet it can come in three different qualities: green for characters that are Light Level 320 , blue for 340 , and purple for 360 . Holding any one of these precludes you from picking up any of the others so if your Light Level 340 character gets a purple offering, you have to discard and hope you get a different one. The best parts of Rise of Iron that I've experienced are the Exotic weapon quests for the Khvostov and Gjallarhorn. 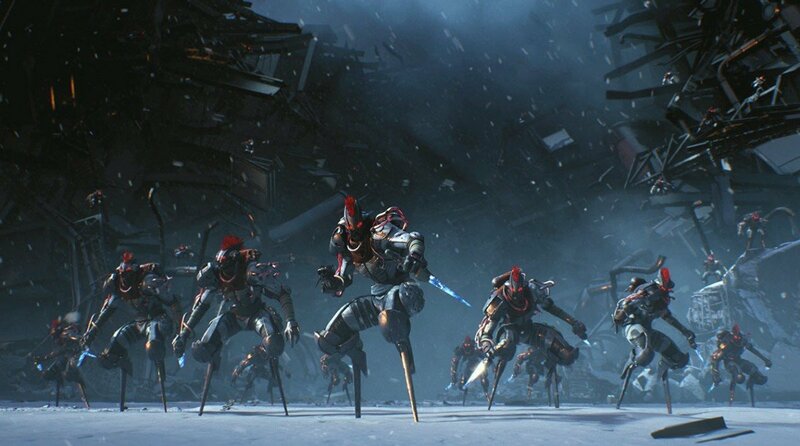 Building on the Touch of Malice and similar quests from The Taken King, you are tasked with completing a sequence of objectives that let you learn about the history of the weapon before, ultimately, acquiring it. The final sequence of the Khvostov quest offers one of the few moments where Destiny acknowledges the journey you've taken thus far, and offers a nice moment between the player and their Ghost. Earning your Gjallarhorn culminates in a massive battle that makes you into a literal one-man army. While gear infusion was one of the nicer ideas in The Taken King, the unpredictability of its results made it too much of a resource sink (i.e., you wouldn't always get the full Light Level of the gear you consumed). While the April patch/content update fixed this so you got the full amount, Rise of Iron has added a new frustration: the actual gathering of gear with a higher light level. Completing strikes in the new SIVA Crisis playlist and decrypting any blue engrams will provide gear up to Light Level 340. Completing heroic strikes and decrypting legendary engrams provides gear up to Light Level 365. Beyond that you have to hit up the Crucible, increase your reputation with the various in-game factions to receive packages, completing Nightfall strikes, and (now) participating in the Raid. It's a grind of the worst sort. 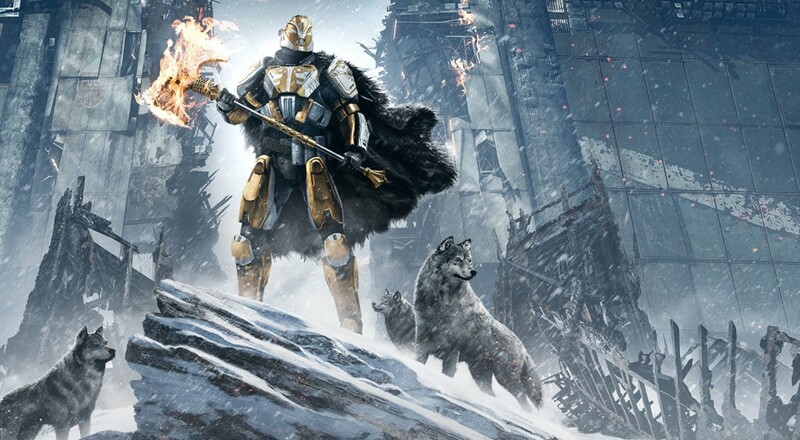 The only real reason that the Rise of Iron exists is to fill a content gap caused by the delay of Destiny 2, and though it's fun to have new content to run, it does little to address the well-tread criticisms of Destiny itself.